You can be sure that when Adam Rudolph and an ensemble of breathtaking drummers get together mystical and wonderful things will happen. The hand-drummer, percussion colourist and composer Adam Rudolph has a deep connection with the spectral world of music. Mr. Rudolph and this fabulous line up of six drummers play instruments from Africa and Asia and they are joined in by other musicians playing guitar, flutes and Rhodes. Add all of this up and you get musical hypnosis that ascends like a great gust of air, hot breath rising as if exhaled from the depths of the earth. Call it that and you probably would not be far from the truth. And you would be remiss if you were not mesmerizingly seduced into the spirit world by “Charas” and “Soma”—the breath and drink, as it were, of the gods of the spirit world. Having been swallowed whole by the music you might get an “inside view” of the proceedings. So where does that leave the music? A deep dive into the nature of connections, that’s where! But connections indeed. 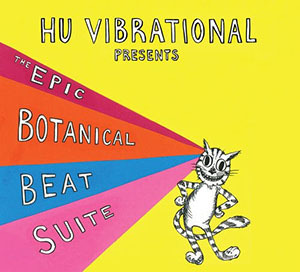 This excellent album in like a trip along a fabled silk route; a musical train dotted with caravanserai linking the musics of Africa, India, and the countries of the Middle, Near and Far East, blurring the lines that separate teach of them, joining, drumming hands vibrational… summoning the Hu and the Aum… the elemental sound of life resonating with these drummers and their guests; musicians all, in tune with the spirit world. The whole project is a masterpiece of subtlety. The drummers take on the lineage of the cool. 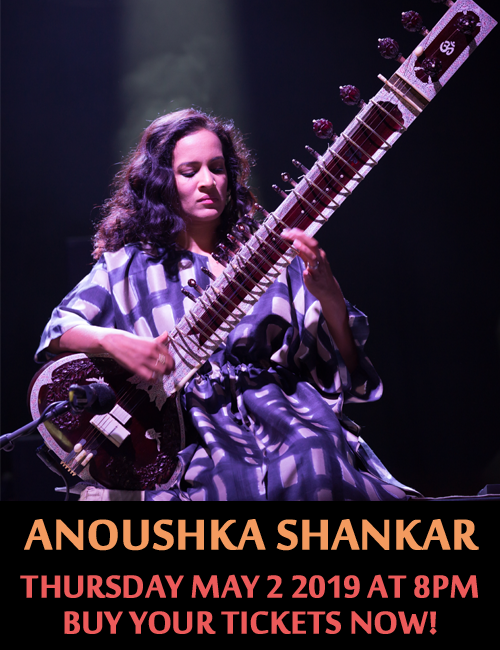 The spacey curling of the music from the wide world of drums is far less than conventional here, seeing as they are heard summoning the rumbling of a conscious Earth, inhaling and exhaling floating benignly over the sound of the bass, the guitar, the Rhodes and the bansuri. The ensemble in turn adds a rich and entirely unpredictable harmonic and rhythmic foundation to the music. The surprises, when they come, are effective, but discreet: a gamelan-like riff is played as pizzicato harmonics, just as the African voices rumble with polyrhythmic gravitas. A delicate curlicue of a bass line underpins what sounds like a shape-shifting Gaelic lament, and a close-knit ensemble passage develops from a single phrase. “Soma” as well as “Hikuli” (to some extent) has a rippling Jazz groove that gently builds under the drummers murmuring. Elsewhere on the record the drummers inject a cinematic quality to the music, launching into a brooding percussive tumbling groove, before a loose funky close. The recorded sound balances great detail with incredible warmth. And for this we have the wonderful engineer, James Dellatacoma to thank. Track List: Ákete; Charas; Soma; Hikuli; Kwa-shi; Agobi; Ya-jey; Ákete (remix). 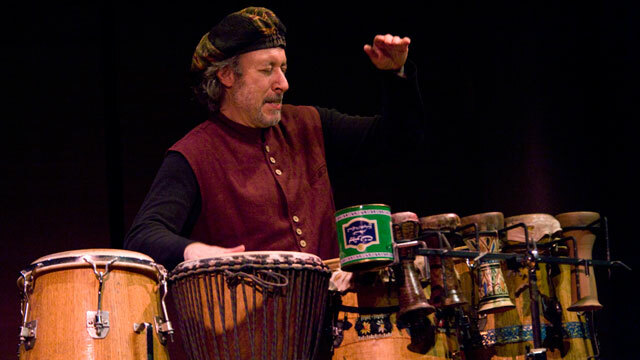 Personnel: Adam Rudolph: bata, slit drum, rebolo; gankogoui; udu, percussion and composition; Brahim Fribgane: cajón, tarija; udu, percussion; James Hurt: sogo, kidi, Igbo bell, udu, percussion; Matt Kilmer: frame drum, djembe, kanjira; udu, percussion; Tim Kieper: dusun’goni, pandeiro, caxixi, udu, percussion; Keita Ogawa: earthtone drum, frame drum, hadjira, pandeiro, udu, percussion; Tripp Dudley: kanjira, cajón, bayan, frame drum, udu, percussion; Special guests: Eivind Aarset: electric guitars; Steve Gorn: bansuri flutes; Bill Laswell: electric bass; Alex Marcelo: Fender Rhodes.